Spring has finally sprung in Scotland which means earlier mornings, longer days and (relatively) milder weather. During the week I don't have too much time to go out so I usually go on short trips in the Pentlands, occasionally as early as 4am so I can record the dawn chorus. On weekends however we drive up to the Trossachs or Cairngorms for longer hikes, field recording and photography. 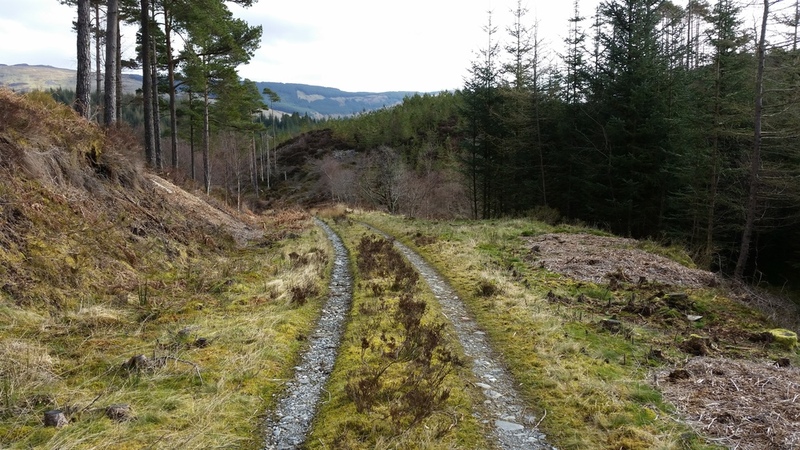 Today we went hiking in Loch Ard Forest and as soon as we parked the car we heard a peculiar bird call in the distance. I first thought it was a Heron calling as it was quite loud and high pitched, without much variation. As we got closer I realized it was a raven and quickly prepared my portable recorder. Needless to say it was quite exciting as I find these birds fascinating. I'm not sure what this particular Corvus Corax was trying to communicate, but he seemed to be calling to another raven who was mostly silent. Its calls also seemed to not vary much for the 10 or 15 minutes that we were within listening range. I'll try and find out more about these fascinating birds and their vocabulary on the Wildeye Northumberland trip which I very much look forward to.